It’s good to be back in the studio after a full week including (of course) tattooing, kicking off the Alliance of Professional Tattooists seminar for artists tattooing at the convention, recovering from a bug and then the convention itself! Today we created Kris’ newest tattoo, this one honoring two of her sons. We looked at a lot of styles for rendering the hand. 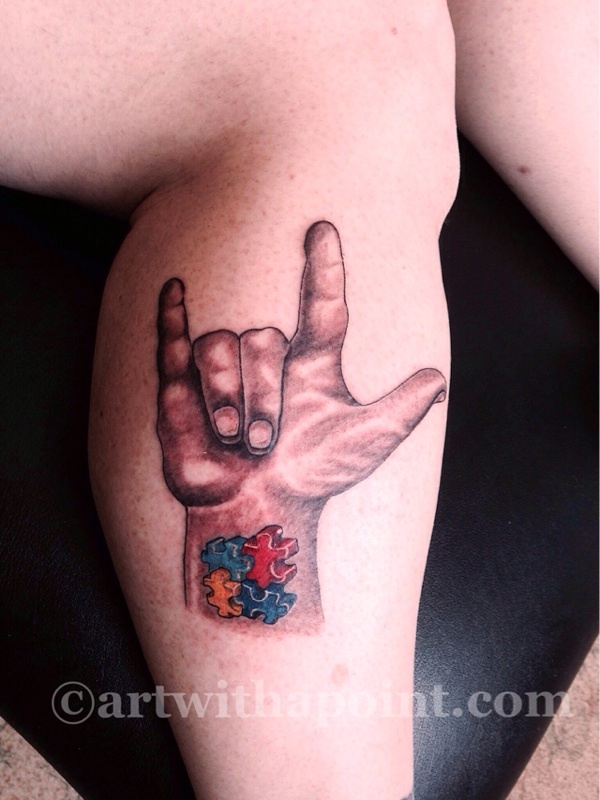 I’m glad she went with portrait realism, right down to the 3D puzzle pieces in the Autism tattoo. I love it when a custom tattoo has a custom tattoo!